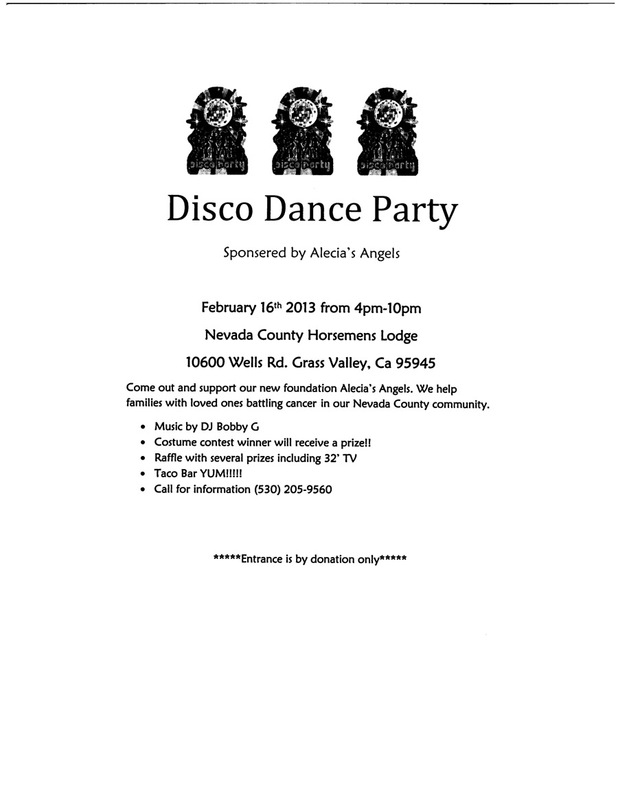 I know the flyer is diffficult to read (click on it for a larger view) but this great event will be to support the Alecia's Angels Foundation, who help families with loved ones battling cancer in our Nevada County community. 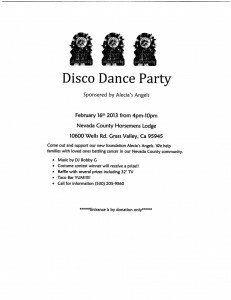 It will be held Saturday, February 16th from 4-10 at the Nevada County Horsemens Lodge. If anyone would be interested in putting up a flyer at their workplace, please contact me either on here or mine or Talli's facebook. We had met Alecia in the beginning of Talli's treatment. She was fighting such a difficult and long battle with Leukemia yet she reached out to us and showed us amazing strength and love! What a heart. Her family started a foundation after she passed. Alecia's Angels is a foundation set up to help people in the Nevada County community struggling with a family member or are struggling themselves with Cancer. If anyone knows of a family that could use some help please reach out to this awesome foundation or contact me. This is the webpage on Facebook with more information. Also below is a flyer for an upcoming fundraiser they will be having!